Darwen Town Centre is easy to access via train, bus or car. 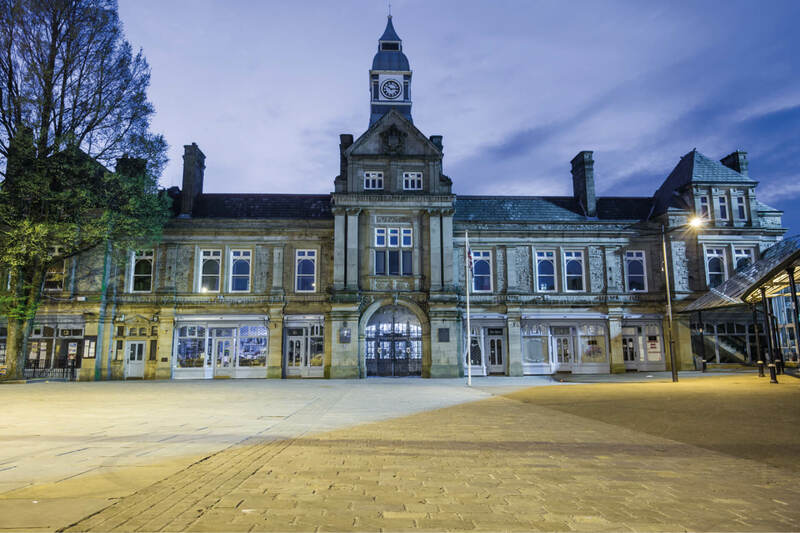 The majority of parking in Darwen is free too, a great bonus when you need to nip to the shops, visit the leisure centre, library or theatre or if you’re heading into town for lunch or an evening meal. We have modern toilet facilities located at the back of Darwen Market Annex. They include disabled toilets and baby changing facilities. Direct buses run from Blackburn, Bolton and Manchester. Most buses stop on outside the market square in the centre of town. Darwen is easy to access via the A666 from Bolton/Blackburn or from Junction 4 of the M65 motorway. Parking in Darwen Town Centre is mostly FREE. Head for the Darwen Market rooftop and covered carparks or long stay on Knott Street. Direct trains run from Blackburn, Bolton and Manchester. For more information about public transport please contact Blackburn Visitor Centre 01254 688040.